For Windows users, it's a breeze to find out dozens of photo slideshow makers for Windows 10/8/7. Yet, this is contrary to what Mac users meet. There is limited options for macOS users to opt for and their performances are uneven. If you don't mean to make efforts and cost a large amount of time to test these slideshow creators for Mac 2019 by yourself, you can be patient to read below part with objective review on the six best photo slideshow software for Mac 2019. Don't get confused by its name. 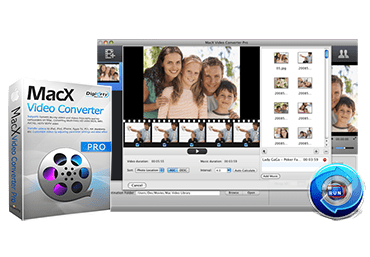 It not only is a video converter program, of course, but also work seamlessly as a solid photo slideshow maker software for macOS. It allows you to freely make slideshow from a library of photos on Mac, add music, add special effects, and further edit video with a full set of settings, and also convert photo story video to MP4 MOV AVI MKV FLV, etc. 180+ file formats and make photo slideshow video with music in MP3, AAC, AC3, etc. So you can free upload the photo video to YouTube, Facebook, Stumbleupon, etc. or transfer to iPhone iPad Android, hard drive for presentation. 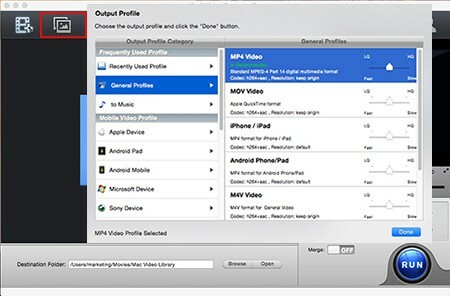 Make photos slideshows to MP4, MOV, AVI, MKV, HEVC video. Free set up picture playback order, interval, music add, etc. Directly compress video to all the latest iOS iPhone Android device. Intel QSV CPU acceleration tech to improve speed 5X faster than any converters. Batch download video from YouTube, Vimeo, Vevo, FB, etc. 1000+ sites. Step 1: Free download this Mac photo slideshow video maker (for PC users, get the Windows version) and then fire it up. Click "Picture" button to load the file folder of photos. Step 2: Choose the output video format for your photo slideshow video from 180+ video formats or 420+ preset profiles (iOS iPhone iPad, iMovie, iTunes, Android Samsung, Sony, Microsoft, etc.). Step 3: Hit the "Edit" button from the main interface with a scissor-shaped icon, from which you can decide the picture playback order according to Photo location; creation date or file name; ASC or DESC; picture playback interval (2.0-10.0 seconds); add or delete the picture from photo folder; add music or not, etc. Step 4: Go to "Browse" button for output slideshow video storage and give the last hit to "RUN" button to call the photo to slideshow video conversion task begin. "Visual Storytelling for Everyone" - that's what this best slideshow software for Mac 2019 can do for you. It provides you with the trouble-free way to create a vivid picture story on your Mac using your photos, videos, music and text telling your story in a live presentation or a high resolution video. What's better, it impresses you a lot when you apply it to make photo slideshow video with 4K Ultra HD resolution and splitting fast speed (less than 15 mins). This point absolutely proves its specialty. Though it has no other features like the previous one, it's definitely a nice choice in terms of slideshow video maker for Mac in 2019. 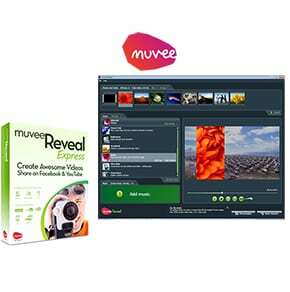 Muvee Reveal Express for Mac is another macOS based software in 2019 with slideshow video creation in mind and it makes it an easy task to transfer photos into a slideshow video with up to 50 photos supported. 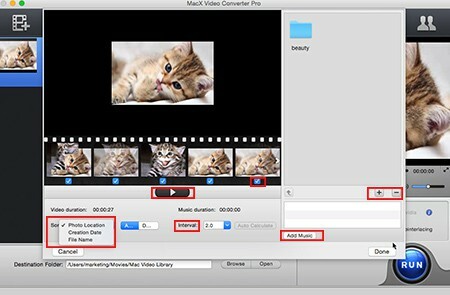 Only 3 simple mouse clicks, you can eventually create your own unique photo story video on Mac OS X 10.6 or later. When infusing music into slideshow, you don't have to worry about the music and photo not match problem, for this thoughtful Mac slideshow maker can automatically match the photos to the music background. And its built-in website sharing ability is useful to super fast upload your photo video to social network websites like YouTube, Facebook, etc. Here this Mac slideshow maker is a free one for you to make slideshow on MacBook or iMac Retina 100% free. No matter what skill level you are in, you can discern how it works without any tutorial or support. See, use Quick Create feature on a folder of images or drag & drop images into your slideshow to import photo collection. Followed by the special effects application, e.g., crop, fade, crossfade, zoom, add music and more. For advanced users, you are also able to choose burn photo video to DVD or transfer it to video for sharing on the web. The last step is just to call it begin and wait mins for the final slideshow video file. Unlike others, this is a free online photo slideshow making website to make slideshow video without third party or plug ins. 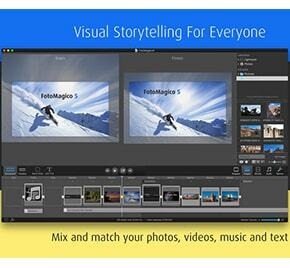 It enables you to create a slideshow with photos, videos and music. Also the special effects, text and transitions can also be applied into your picture video. 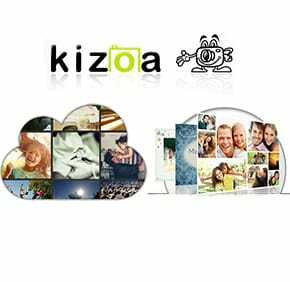 If you are not satisfies with one of the photos, you can pick them out and further edit your photo on Kizoa with hundreds of filters, effects, and frames. Rotate, straighten, and crop features. 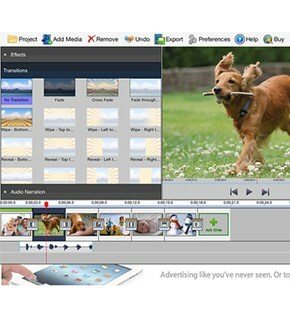 Beyond this, it also plays a good role in collage maker, movie maker and video editor.